One of the critical parts of any business is their website, and when it comes to domain names there have been a number of epic mistakes made, even by big business. Here are four of them, and how to avoid them. When choosing a domain name, you want to make sure it is not too close to that of another website or business. If it is, you might get the wrong kind of traffic, or if the site belongs to one of your competitors, you could actually lose users and traffic to their site instead. You can make sure of this by first making sure the domain name you want is available by using an online domain name search tool. Then perform a Google search using that name and variations of the name, including misspellings, to make sure you are not too closely duplicating someone else’s name. While your domain name should be unique, it should also be simple. Simple to say, spell, and type. This is why you should not use numbers, hyphens, or other special symbols in a domain name. They make it much harder for a user to remember, and they are also more likely to mistype the URL and give up if they do not find it right away. Use simple words, abbreviations, and variations of your business name, or a combination of descriptive words to make the domain name memorable. You should also use a .com as your primary website name. Although you can purchase others to protect the integrity of your domain name, but they should be redirected to your primary site. Unless you are a nonprofit or educational institution, the extension on your website should be .com. 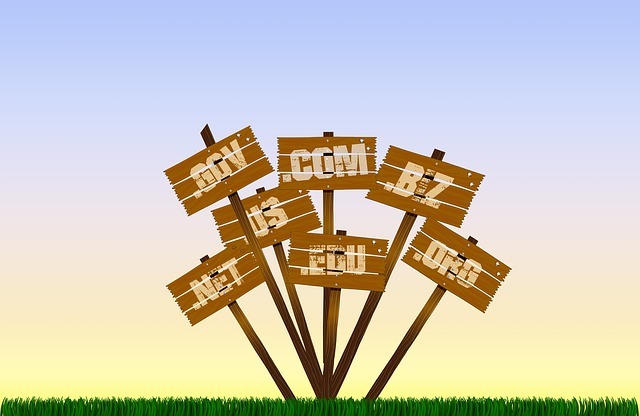 Besides being simple, your domain name should not be too long. Keeping things under 16 characters is the industry standard. Long names are harder to remember and type, and they are also not as aesthetically pleasing. Often they are too long to fit well on business cards, posters, and other marketing materials. If necessary, as with making a domain name simple, you can use abbreviations or shortened versions of your business name to keep the length manageable. Sometimes when abbreviating things or running words together, we don’t see the other things they might spell. Examples include Therapist.com Big Al’s Online, whose URL is bigalsonline.com, and the Iowa Department on Aging which was idoa.gov. The Iowa domain has been changed, as the seniors the department served probably were uncomfortable typing DOA into their browser. However, changing domain names can be expensive, costing thousands of dollars, especially if the URL has been printed on business cards and other materials that must be replaced. Choosing a domain name can be an arduous and even painful process, but choosing correctly can make the difference between a successful online presence and a public relations disaster when the company becomes a laughingstock.